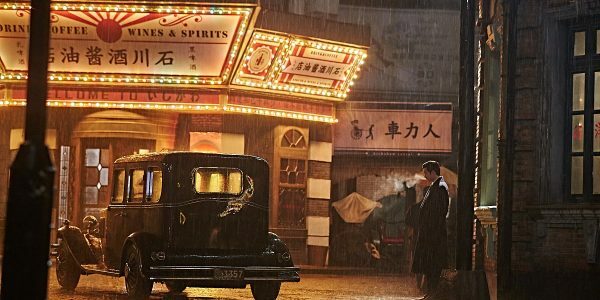 Directed by Korean legend Kim Jee-woon and written by Lee Ji-min and Park Jong-dae, The Age of Shadows is a South Korean action-thriller set in 1920s Korea during Japanese rule. 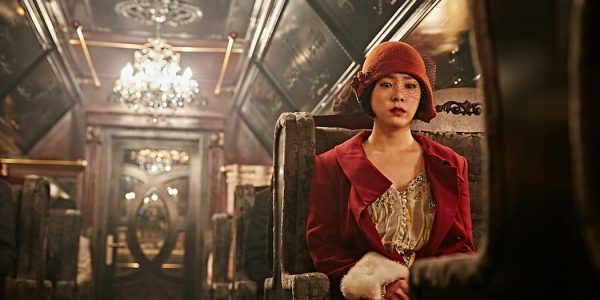 Finely acted, visually stunning and with some hard-hitting action scenes, The Age of Shadows can be a rewarding experience if you can get past the quite demanding running time. Lee Jung-chool (Song Kang-ho), a Korean police captain in the Japanese police is tasked with infiltrating the armed resistance fighting for Korean independence. He approaches one of the key members of the resistance, Kim Woo-jin (Gong Yoo), in the hopes of gaining information about their plans and organization. The resistance leader, Che-san (Lee Byung-hun), believes the captain could be convinced to turn to their side and tasks Kim Woo-jin with attempting to do so, leading to a complex and risky psychological game between the two. 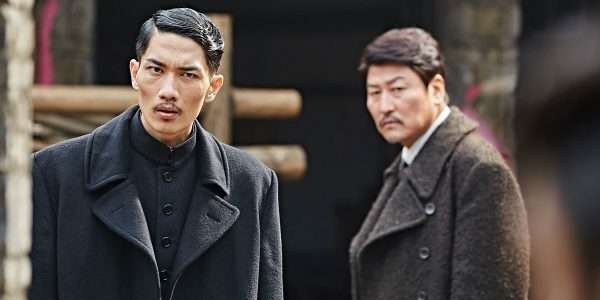 The Age of Shadows makes a strong first impression with a memorable action scene in which dozens, if not hundreds of police officers pursue resistance fighter Kim Jan-ok (Park Hee-soon). As he tries to run and fight them off, they climb and traverse the low rooftops of the building, surrounding him on all sides. It immediately establishes the sense of style and scale that the movie is going for, while also showing how desperate the situation is for the resistance. Visually, this is an absolutely gorgeous movie. The cinematography is bold, vibrant and striking, with a real picturesque quality to it. The excellent costume and production design certainly helps as well. This is a looker, through and through and arguably well worth seeing just for that alone. The downside, as mentioned, is the running time. At 140 minutes, The Age of Shadows can be a slog, especially since there actually aren't that many action scenes. While it's certainly an ambitious and complex tale involving lots of characters, The Age of Shadows feels longer than it needs to be. There a number of scenes that could have been condensed or perhaps even cut - a scene of Lee Jung-chool, Kim Woo-jin and Che-san drinking is one notable example, as is very repetitive and goes on for a lot longer than necessary. Characters that feel like should have more screen-time and development, such Kim Woo-jin's possible love interest and active resistance member Yeon Gye-soon (Han Ji-min) are gone for long stretches of the movie. Since the focus is mainly on Lee and Kim's complicated double agent interactions, we get little more than a surface impression of many of the other minor characters - this becomes especially problematic when it's revealed one of the resistance members is a mole for the Japanese police. When it's revealed who it is, it feels somewhat uneventful, because the character isn't really fleshed out. While it drags at certain points, The Age of Shadows is also tense and compelling in others. An extended sequence in which the Japanese police are trying to locate a group of resistance fighters on a train, with Lee trying desperately to work both sides without comprising his position is quite gripping and once the action does start, it's also pretty engaging. The Age of Shadows is a pretty violent movie and sometimes the violence can feel a bit too gratuitous, particularly during the movie's select few torture scenes. Rather than supplement the dark, bleak tone, moments that really close in on a particularly brutal or painful moment tend to feel more exploitative than anything else. All these various problems, most notably the length of the movie, weigh it down. For all its strengths and positive features, The Age of Shadows ends up feeling like an endurance test, which can be frustrating. Those with patience may find a lot to like about this movie.